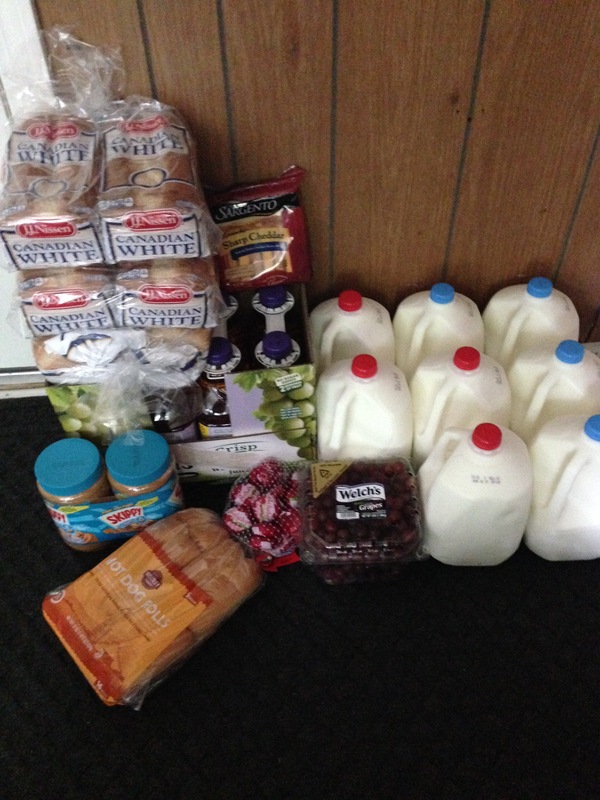 I admit I didn’t do too much grocery shopping last week. I made a trip to BJs. 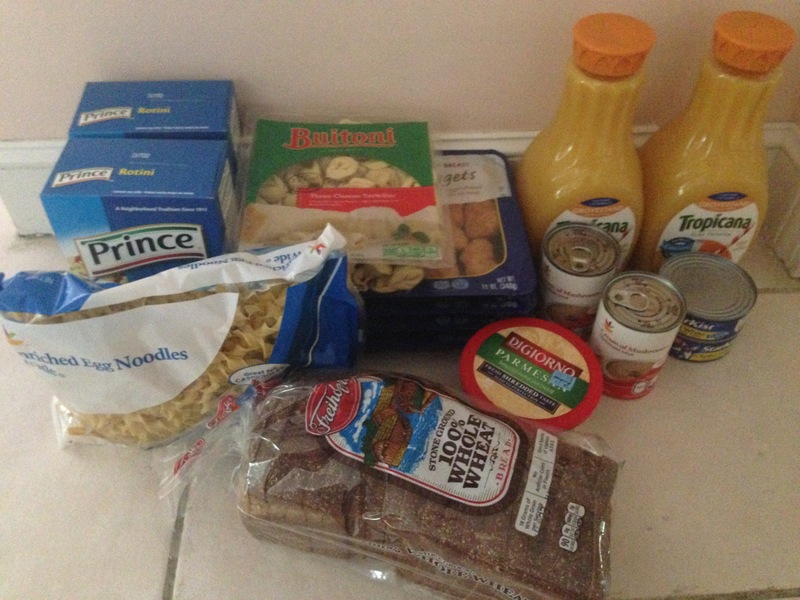 I purchased a few items, mostly on sale, at Stop & Shop. 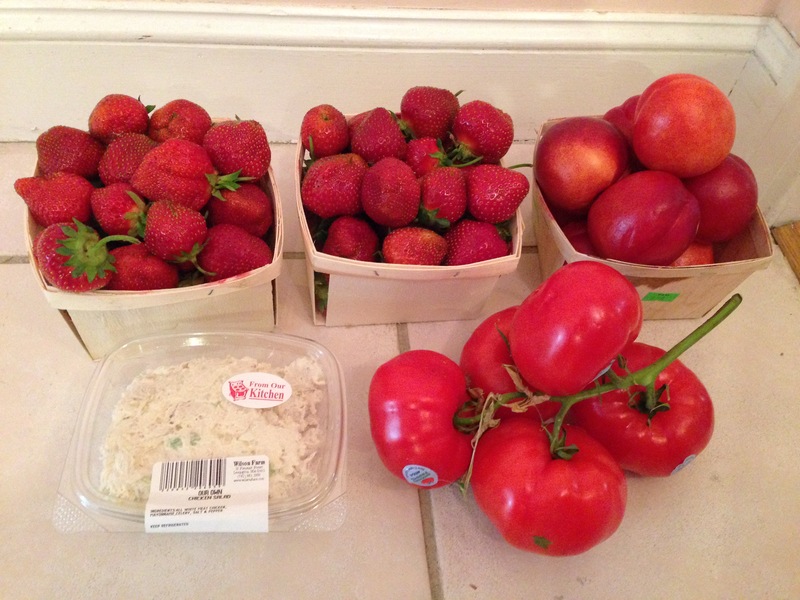 I also made it to the farm stand for local strawberries and a few other, less local items. I also took two of the boys to the Strawberry Festival this past weekend and tried all sorts of strawberry goodies – chocolate covered strawberries, strawberry shortcake, spinach salad with strawberries, and strawberry smoothies. There were other options, but those were what we were interested in.